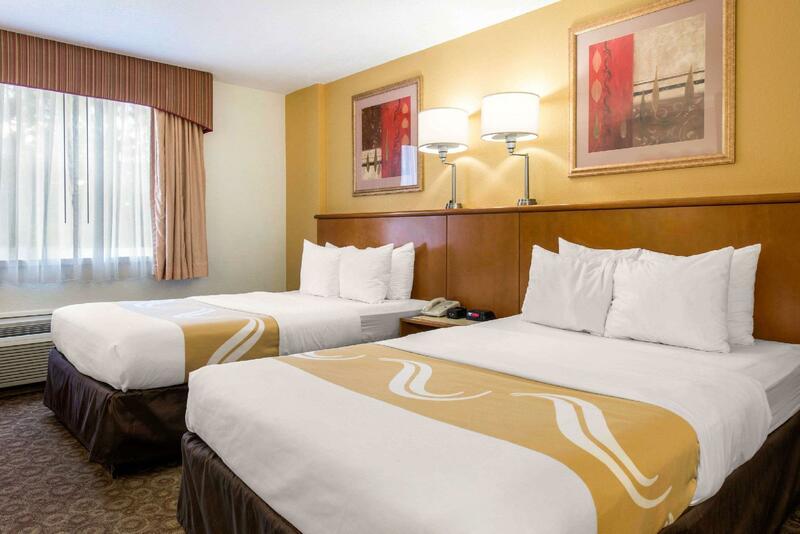 Have a question for Quality Inn & Suites Near the Theme Parks? The modern high-rise hotel offers 106 comfortable guestrooms and is located within walking distance from Universal Studios. 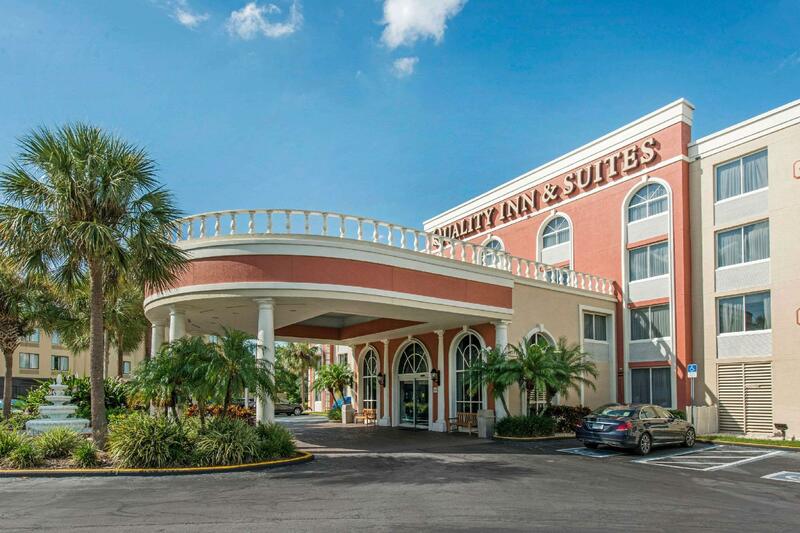 The Quality Inn and Suites Universal Hotel is within one mile from Universal Studios and the City Walk Islands of Adventure. The hotel offers a scheduled shuttle service to Orlando's biggest tourist attractions, such as Universal Orlando, Sea World and the Magic Kingdom. The surrounding area has a variety of restaurants, shops and entertainment venues. Guests can start their day with complimentary hot continental breakfast. 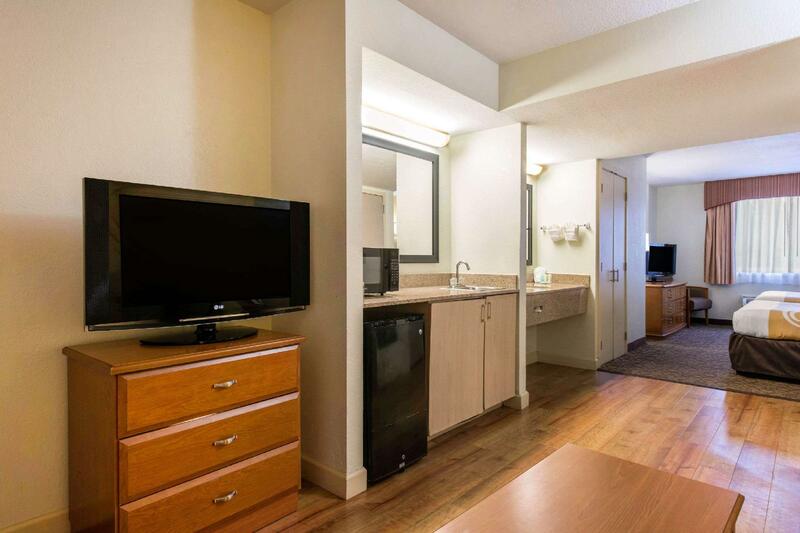 The 3-star hotel is an ideal destination for budget-conscious travelers seeking comfortable accommodation that is close to Universal Studios. Only stayed for one night but would happily stay longer. Very clean. Véry friendly staff. Good choice of food for breakfast. Inexpensive. Though the hotel is little away from busy location. you can catch I-Ride buses available every 30 min just in front of hotel till 10.00 pm. you will see all attractions. cheapest way is grab a 3 days or 5 days or 7 days pass instead daily passes. Breakfast is good I got bored of having same breakfast for 8 days :( Very helpful front desk and tour guide. a little drawback is that the aircon makes noise. KFC, MCDonalds just 5-7 min walk. El personal no habla español y las alfombras de la habitaciin tienen mucha humedad. Deberian eliminar las alfombras y poneer algo mas higienico. c'est hotel est suffisant si vous faites de la route et que vous avez besoin de vous arrêter vite fait.